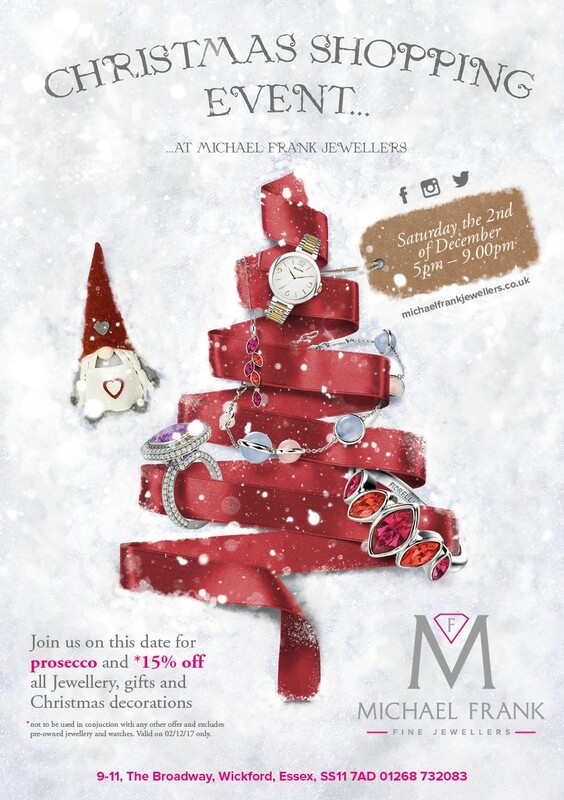 Ease the Christmas shopping stress with a glass of Prosecco or two…..
Saturday the 2nd of December see’s our second Christmas shopping event in store. Join us from 5pm till 9pm where we will serve you Prosecco and mince pies hopefully getting you into the festive spirit. As well as jewellery and watches we now stock a wide range of gifts and Christmas decorations to make your home sparkle this year… We will be offering a 15% discount at the event to help you with your Christmas shopping. These events are always good fun and its great being able to share a glass of Prosecco or two with our customers! Christmas jumpers, reindeer antlers and tinsel headdresses are purely optional but always a welcome addition. Come and join us, we would love to see you!